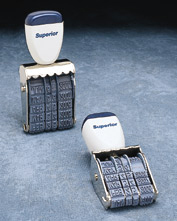 Rubber Stamp RS-37 (2 1/2 x 2 1/2) Rubber Stamp RS-37 [RS-37] - $33.25 : R & M Rubber Stamp, Let Us Stamp Your Business! 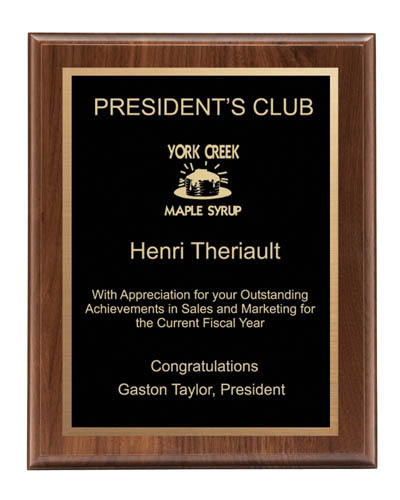 Premium Plaque PP57 G - 9" x 12"
Tried and true, this is the traditional rubber stamp. Durable wood handle and base, every rubber die is made with natural red rubber. 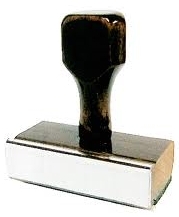 This is the most economical stamp to purchase, but don't forget to purchase a stamp pad to go with it! The text plate size is 2 1/2" x 2 1/2".